Today, you’ll travel from Arusha to the stupendous Tarangire National Park, well-known for its vast herds of elephants, lions, cheetahs, leopards, and buffalo. It is also famous for its baobab trees, many of which are over a thousand years old! Your driver and guide is an experienced wildlife expert, whose ability to spot animals and birds, along with his knowledge of the species you see, will fascinate you. You’ll enjoy an afternoon game drive, and then check in for two nights of luxurious accommodations at the Tarangire Sopa Lodge and/or the Maramboi Tented Camp. Amazing vistas will include not only the beautiful African landscape, but just about the entire cast of wild African characters, including some rarities such as kudu and oryx. We’ll make early-morning and afternoon game drives, and perhaps take a walking safari with a local Maasai guide. If you’re still keen to see more all-star creatures before a comfortable night’s sleep at the lodge, you can go out on a night drive – always a revelation! Today, we’ll follow what we call “The Ernest Hemingway Route!” We’ll enjoy one last game drive in Tarangire en route to Lake Manyara National Park, which lies at the base of the Rift Valley escarpment. This small park is surprisingly diverse, ranging from groundwater forests, to grassy plains, to the alkaline Lake Manyara itself. During our game drive, be sure to watch for elephants, Cape buffalo, and giraffes. The park is also home to the world’s largest troops of baboon ever documented! Finally, we’ll continue to the Ngorongoro Conservation Area for the night, where you’ll enjoy dinner and another comfortable stay at Kitela Luxury Lodge. Our day will begin with a journey to Lake Eyasi, where you’ll enjoy not only visiting with the nomadic Hadzabe tribe, but learning frst-hand about their hunting techniques and way of life. Your day with the Hadzabe, where singing and rhythmic chants drift over from the women’s camp, is not something you are likely to forget. They grow no food, raise no livestock, and live without rules or calendars. They are living a hunter-gatherer existence that hasn’t changed in the past 10,000 years. What might they know that we have forgotten? You can ask them yourselves. You’ll stay overnight at the Lake Eyasi Lodge before a breakfast with the Bushmen, and your next day’s adventures. Today we visit with The Datoga Tribe, who consider themselves the oldest tribe in Tanzania. (Of course, the Maasai and Bushmen also claim this fame!) The Datoga are, frst and foremost, warriors, known for their stealthy ability to eliminate their enemy. Little is known or archived about the Datoga. It is known that they migrated some 3,000 years ago from the Highlands of Ethiopia. Datoga’s are farmers specializing in onion plantations, but share similarities to Maasai in some traditions. They are characteristically known for keeping to themselves. Datoga considers anyone other than Datogan an enemy. They refused to engage themselves in colonization and vehemently resent the government, making them an enemy of the state. However, their current situation has placed them in a pivotal challenge of continuing their traditional existence. An ongoing challenge has been Datoga’s inadequate attention to health and education but has been slowly changing. Until recently only 5% of Datoga spoke the national language Swahili. On this night you will stay at Kisimangeda Luxury Tented Lodge, located in an amazing valley. Today we embark into the heart of Tanzania, Ngorongoro Crater and Eden of Africa. Adventure with Maasai Warriors in the Ngorongoro area. Then onward to a full day game drive inside Ngorongoro Crater. The crater is technically a caldera, the world’s largest unﬂooded, in fact, at more than 2,000 feet deep with a ﬂoor covering over 102 square miles. Game viewing here is fantastic, as most of the animals stay in this area year round. You can see lion, Cape buffalo, hippo, elephant, and ﬂamingo. This is also your best chance to see the rare black rhinoceros. A picnic lunch will be served in the crater. And later you’ll enjoy dinner and overnight at Ngorongoro Sopa Luxury Lodge, at the rim of the Crater. Today we drive you to Serengeti National Park, Tanzania’s largest and most famous park. But frst, we make a stop the Olduvai Gorge in northern Tanzania, at destination internationally recognized for Louis and Mary Leakey’s famous discoveries of early humans and great antiquities documenting the evolutionary history of our stone toolusing ancestors, vertebrate fauna, and environments over the last two million years. Proceed to Serengeti, where you will have a picnic after you reach the gate of Serengeti, before your afternoon game drive. Home to the annual Great Migration of wildebeest and zebra, generally between late November and July, it attracts visitors from around the world and is perfect for game viewing. Stay overnight at Serengeti Kati Kati Luxury Tented Camp with full accommodation. 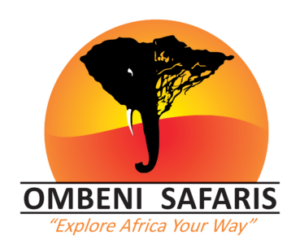 Roam Serengeti searching for the Big Five (African lion, African elephant, Cape buffalo, African leopard, and White/Black rhinoceros). Continue exploring this vast park during morning & afternoon games drives. In addition to the Big Five, you will see an abundance of other animals, including cheetah, giraffe, gazelle, and Eland. Between game drives take advantage of leisure time to relax in full accommodation at Serengeti Kati Kati Luxury Tented Camp. Today’s early morning we will embark on a Serengeti hot air balloon tour followed by an “inbush” champagne breakfast. Then ﬂy to Arusha in time for lunch at Arusha Coffee Lodge in the plantation. Relax at lunch and slowly depart to Mount Meru Hotel. Enjoy a guided walking safari and cultural tour by park rangers through Arusha National Park. Enjoy a walk across the wilderness to Mount Meru’s enchanting waterfall, then proceed to Little Momella Lake and an open savanna to Acacia Scrubland, Afro Mountain, Cloud Rain Forest, and Afro-Alpine. There are several alkaline lakes and the spectacular Ngurdoto Crater. Mammal species include elephant, buffalo, various primates, giraffes, and leopards. An armed guard will accompany you. At 14,977 feet tall, Mt. Meru is the ffth tallest mountain in Africa and provides the best views of Mount Kilimanjaro directly from your bungalow at Africa Amini Life Traditional Maasai. Lodge, where you will be welcomed with an open heart and with traditional dances, songs, and more. Enjoy the evening African sunset, food, drinks, and stories from Maasai and Meru tribe chiefs. Today we spend time with the Maasai warriors, explore the base of Mount Meru, and Mount Kilimanjaro via Ngabobo village. Get up close with Maasai and Meru culture for experiences only possible deep in Africa. We will have spear competition activity with the Maasai Warriors, dance, costumes and so much more. You will be accommodated at the traditional Maasai Lodge with full board accommodation. This morning we will depart from Arusha National Park to Mount Meru Village. Ombeni’s home village sits at the top, and today we’ll visit with Songoro primary school where Ombeni Safaris and Ombeni Foundation are deeply involved and committed, the school where Ombeni himself attended. You will be warmly welcomed by students, teachers, parents, and village elders. After visiting, we will drive up close to Mount Meru. Then our Cruiser will be left at Ombeni’s farm, and we will hike to Lemika Hill for a picnic lunch at the foot of Mt. Meru. After lunch, we will walk back through agricultural felds of bananas and coffee plantations. Finally, we’ll stay overnight at Arumeru River Luxury Lodge. Today is your last day in Tanzania so let’s make it special by inviting local bands, African percussionists, dancers, local chefs/cuisine and so much more. This is where Ombeni likes to show off his best. We will have a wonderful time celebrating this incredible journey. Today we’ll say goodbye to Tanzania. You’ll have the morning to relax at your hotel, shop in the Arusha local market for souvenirs and return to your hotel where you will either relax or walk around the coffee plantations until departure time.